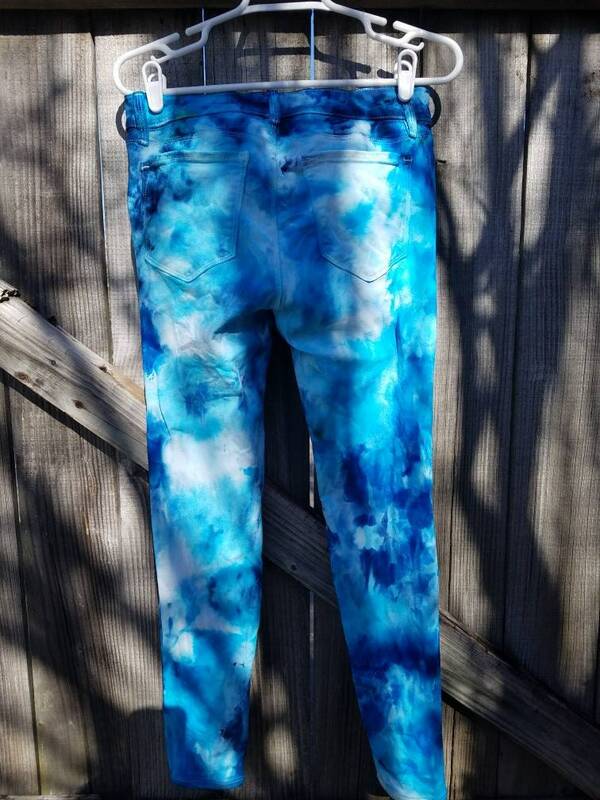 One of a kind, hand dyed, tie dye jeans. 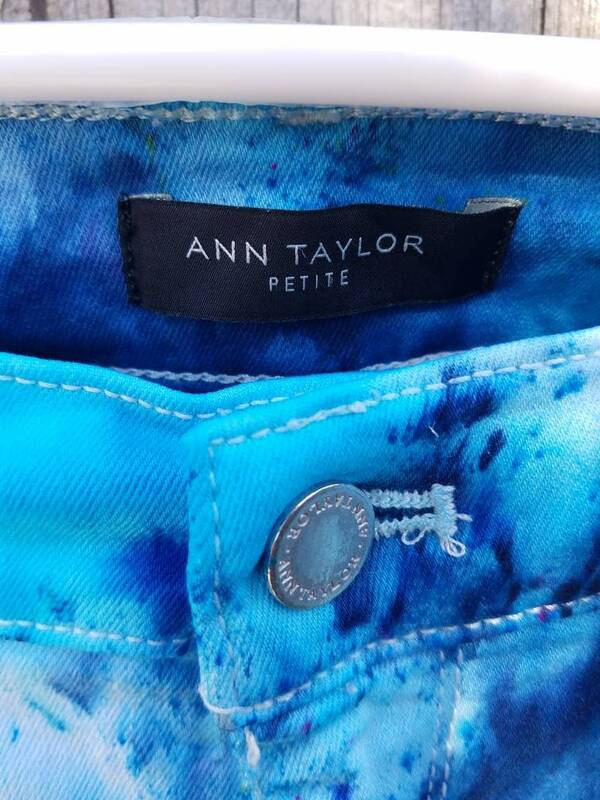 Upcycled "Ann Taylor" brand women's Jeans size 8 PETITE. 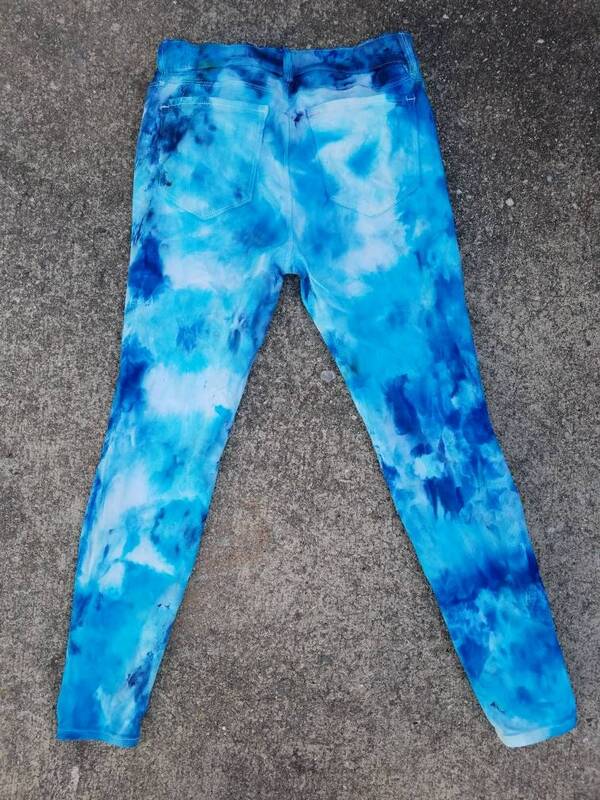 30 inch waist and approximately 34 inches from top to bottom with a 26 inch inseam. 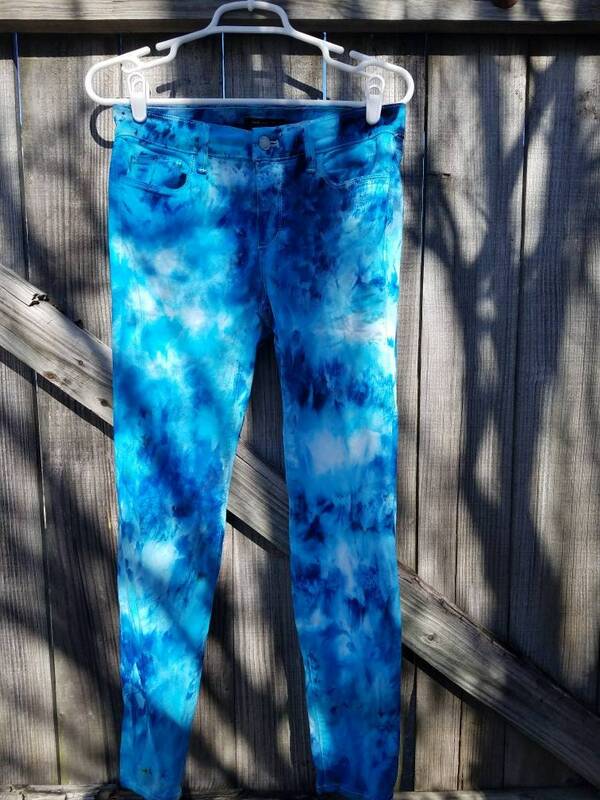 Machine wash and dry with dark colors and regular detergent. 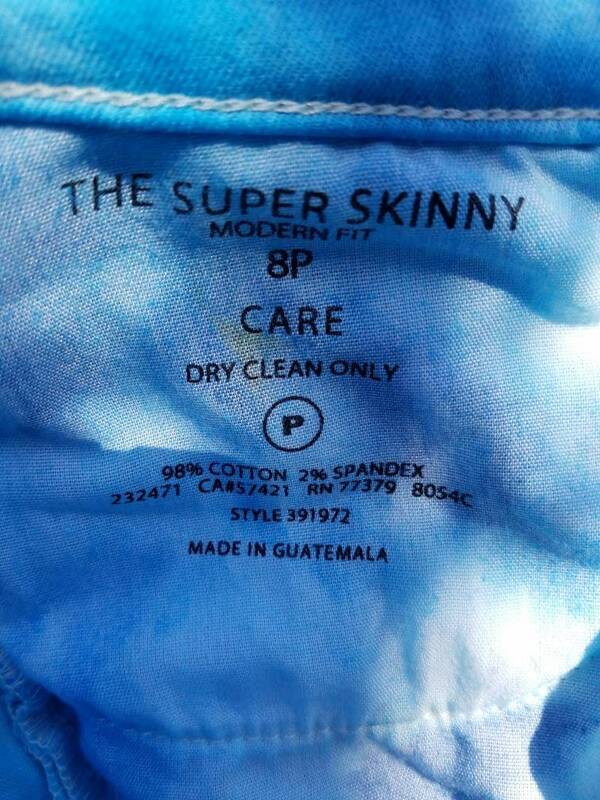 For best results avoid fabric softener. 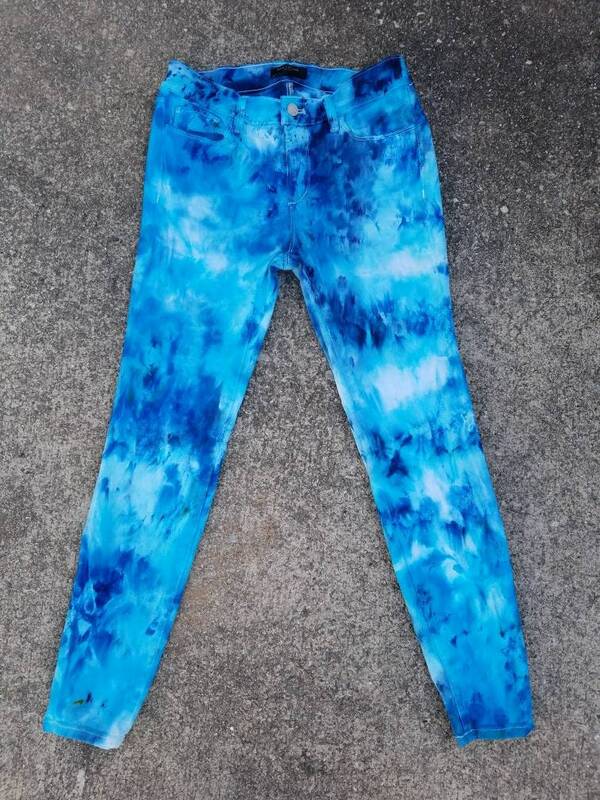 The manufacturer's tag says "dry clean only" but there is no dry cleaning in the tie dye process and they still look great after numerous washings.